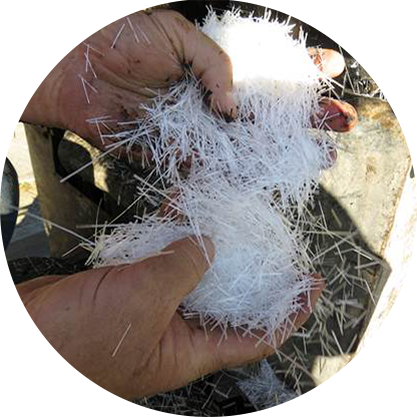 Fiber Reinforced Micro-surfacing (or slurry seal) is a cost-effective preventive maintenance that consists of a thin layer of a polymer modified asphalt emulsion blended with finely crushed stone and high strength glass fibers. The purpose of this treatment is to seal minor cracks and improve reflective cracking resistance and lead to superior flexural durability. This method is intended for roads that are still structurally sound. 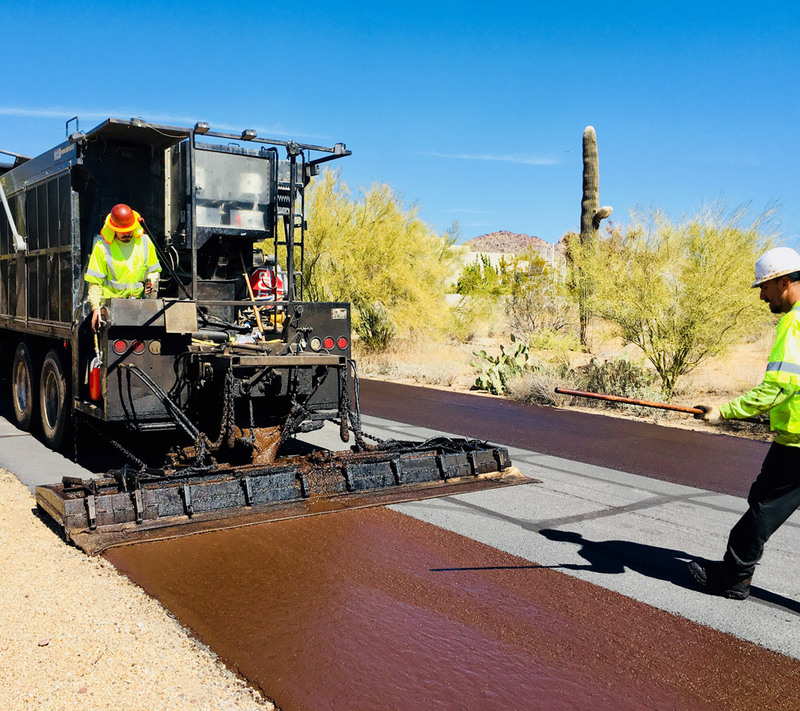 The outcome of choosing this preventive maintenance method increases the life of the pavement 5 to 10 years at a cheaper cost compared to reconstructions or hot asphalt mixture overlays. Can be laid in multiple layers to provide the ultimate in crack mitigation and performance. Fiber increases the structural integrity of the micro surfacing without using extra materials or affecting curb and gutter heights. Fiber is automatically fed into the pug-mill inconsistent lines, allowing the length and application rate to be easily quantifiable.